Last week I took time out to visit the Thermae Bath Spa; the only spa in the UK to offer bathing in naturally warm spring waters. A lovely 34 degrees centigrade to be exact. The city of Bath has a long association with well-being, since it’s natural thermal springs were discovered by Prince Bladud around 863 BC who reputedly cured his leprosy by bathing in the then hot muddy waters, and in gratitude founded the City of Bath. Subsequently, the waters were enjoyed by the Celts, Romans, Saxons and Georgians, and Royal visits in the 16th and 17th centuries increased the city’s fame and fortune. Elizabeth I granted a Charter incorporating Bath as a City, including the instruction that ‘the thermal waters should be accessible to the public in perpetuity.’ People visited the baths in droves to seek miracle cures for gout, dropsy and an array of skin disorders. And whilst we now know that the springs did not possess magical healing powers, we do know that the thermal waters contain more than 42 different minerals – the most concentrated being sulphate, calcium and chloride – which are hugely beneficial for the skin. 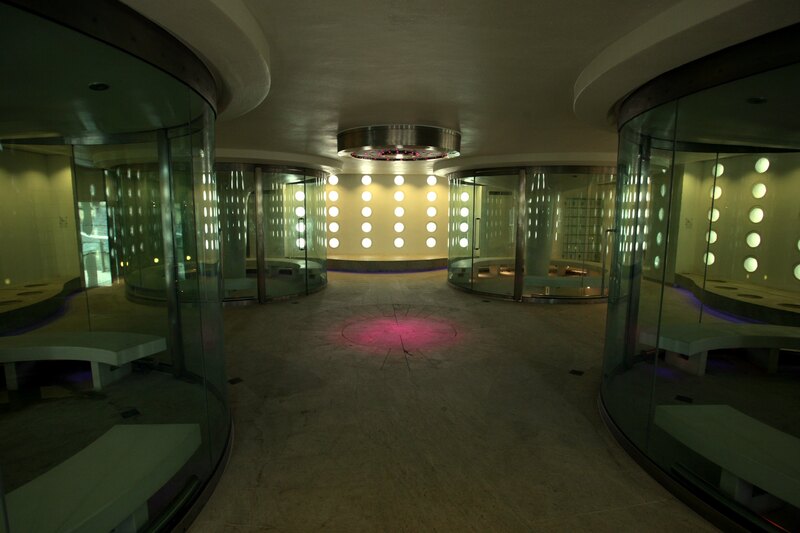 The restoration of the spa was completed in 2006 and before entering, I stopped to marvel at the impressive and almost seamless fusion of grand Georgian architecture coupled with an expanse of extremely sophisticated glass technology. There are three hot springs in town: King, Hetling and Cross Spring. In the picture below, we can see the emergence of the Cross Spring as it bubbles out of the ground. To support the flow, a work of art made from burnished steel was created and inscribed with the words of poet, Ted Hughes: Water is the ultimate life, pure as crystal, the divine influx. 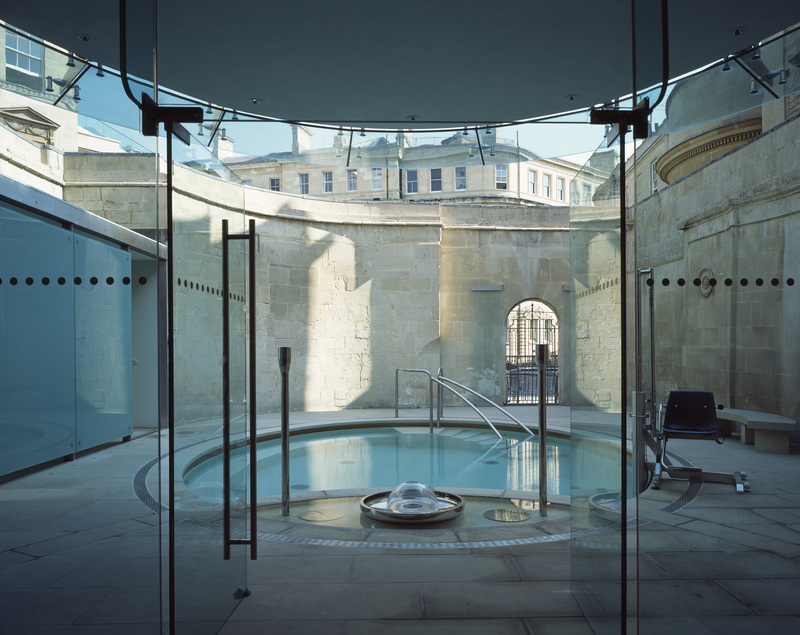 The beautiful stand-alone Grade 1 listed Cross Bath was erected on the site of an earlier medieval bath; it stands on the orignal 2,000 year old Roman cistern and has been recognised as an official sacred site. It’s an absolutely gorgeous building with its own changing facilities and can be hired out exclusively to individuals or small groups preferring the privacy of their own thermal bath. There is also disabled access. 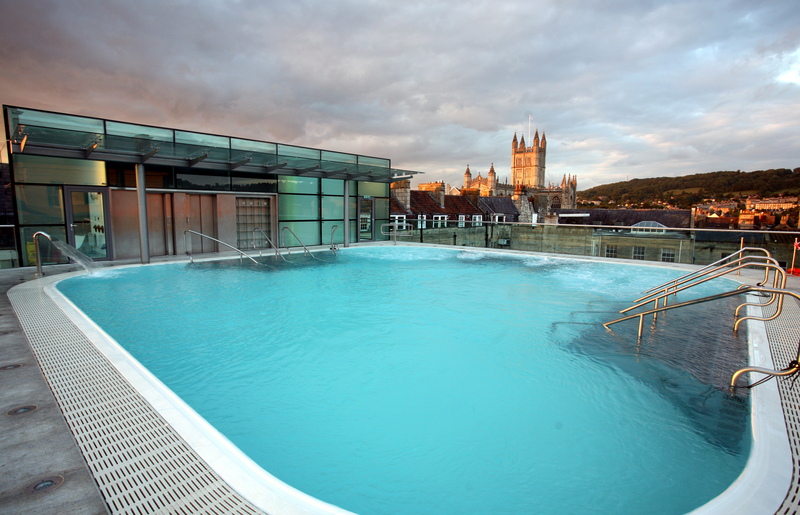 Not to be missed is the open-air rooftop pool and its spectacular views over Bath and surrounding hills. I grabbed a float and whiled away a perfectly blissful 30 minutes just floating in the warm, mineral-rich waters here. Although I was here during daylight hours, I hear it’s also pretty spectacular under a clear, star-filled sky with the twinkling lights of the city mapped out below. Then it was off to explore the steam rooms. Each separate steam pod is infused with a different essential oil, such as eucalyptus or frankincense, so I spent five minutes roasting in each one. Afterwards a drenching under the central ‘waterfall shower’ is recommended to really cool down. My last stop was the Hot Bath for my scheduled Watsu treatment. This Grade II listed building dates from 1777 and is the perfect space for such an intimate treatment. After entering the bath, my therapist attached floats to my legs and then literally cradled me in her arms, gently stretching and guiding my body through a series of flowing movements, combining elements of massage and acupressure. By the end of the 50 minute session, I was nothing more than a limp rag doll. You are fully supported throughout, but at one point – I was so throughly relaxed – my therapist was able to support my whole body by using just the tips of her fingers expertly placed under the back of my head. You keep your eyes closed throughout the entire treatment and are advised to concentrate solely on your breath. As your ears are underwater for the most part, the sensation feels really natural yet dreamlike; at times I felt like I was flying. Unlike a regular massage where I am always actively thinking, during Watsu, there were no thoughts as my mind was completely silenced. It’s a truly remarkable and euphoric experience. I would recommend, however, that you rest for a long period afterwards and ideally ensure that you don’t have to drive. I had an hours drive home afterwards and only just about managed it! Images by Matt Cardy, Edmund Sumner & Rob Slade. 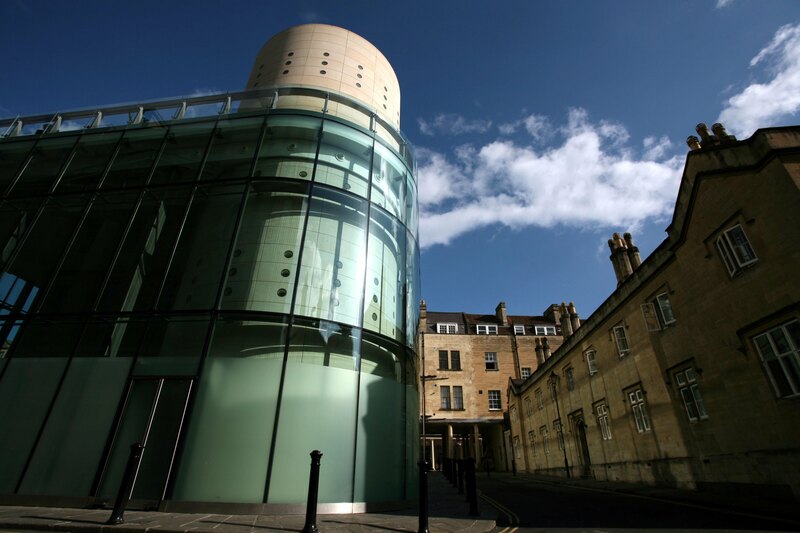 CELLOPHANELAND* were guests of Thermae Bath Spa.